This sensor, which uses a Hall effect transducer, is sensitive enough to measure the Earthï¿½s magnetic field. It can also be used to study the field around permanent magnets, coils, and electrical devices. This newly designed sensor has a rotating sensor tip. This allows you to measure both transverse and longitudinal magnetic fields. 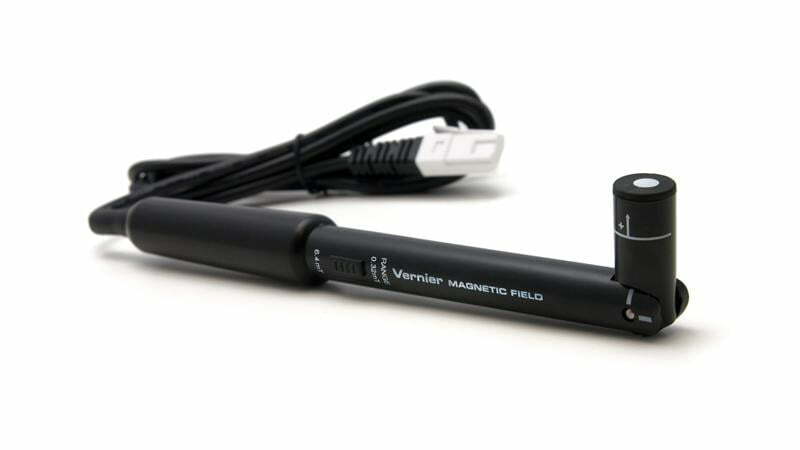 The Magnetic Field Sensor requires a compatible interface and software to collect data. Interface and software sold separately.